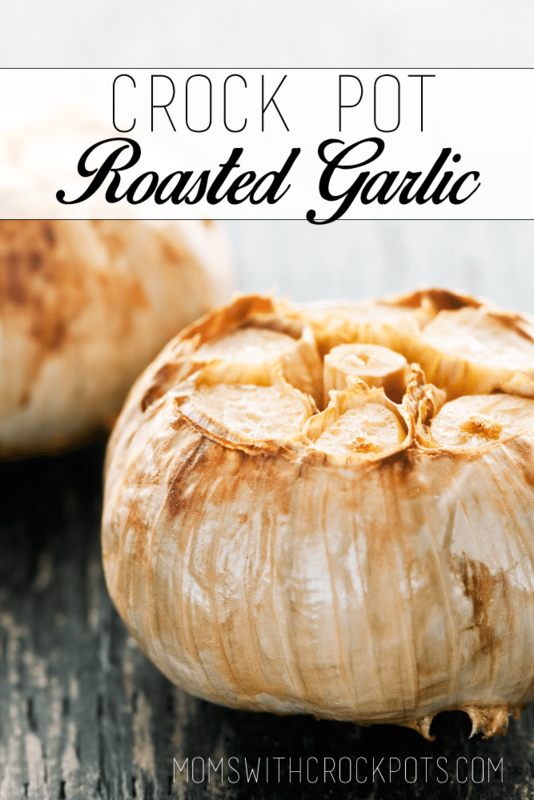 Whether it is on a nice warm piece of crusty bread, with pasta, or stirred into a dish….this Crock Pot Roasted Garlic is fabulous! It takes less than 5 minutes to prepare and you will have plenty of roasted garlic for whatever dishes you prepare that week. You won’t believe how simple this really is! Place the 6 heads of garlic on one layer of aluminum foil. Fold foil loosely around garlic. Place in crock pot and cook on low for 8 hours. This is such a great tip. I love roasted garlic and this is so much easier than doing it in the oven. Once again crockpot to the rescue….